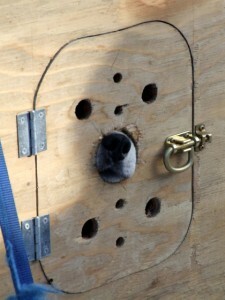 Dead Iditarod tethered to a pole in an Iditarod musher’s kennel. 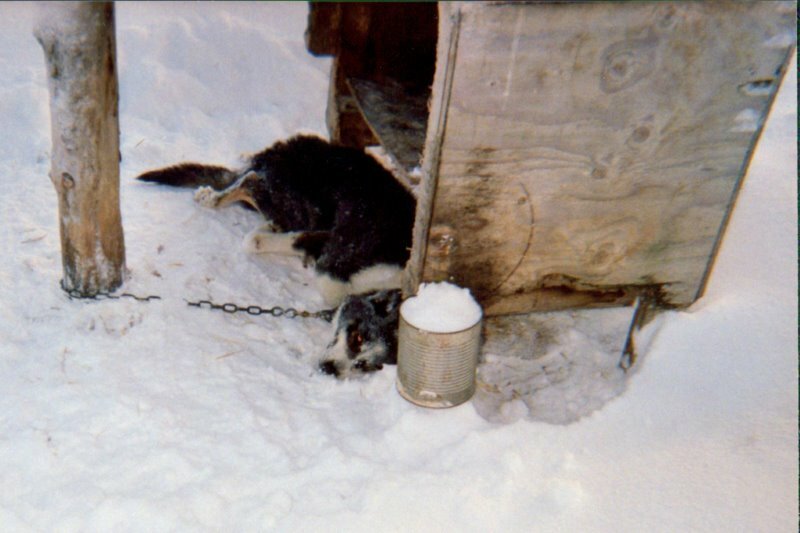 Because the tether is extremely short, the dog could not even get inside his pathetic shelter. Most Iditarod dogs die alone and their deaths are kept secret. The Iditarod Trail Committee promotes the Iditarod as a commemoration of the 1925 Anchorage to Nome diphtheria serum delivery. However, the race actually celebrates the memory of musher Leonhard Seppala. The Iditarod was patterned after the All-Alaskan Sweepstakes which were races held in the early 1900s. The Iditarod was not patterned after the serum run. Joe Redington, Sr. later expanded the original 1967 event making it longer and more lucrative. Half of the 1925 serum delivery was done by train. Dogs ran in relays for the remaining 674 miles, with no dog running more than 100 miles. In the Iditarod, dogs run 1,150 miles over terrain far more grueling than the terrain found on the serum run route. – Ethel Christensen is the founder and former director of the Alaska SPCA. 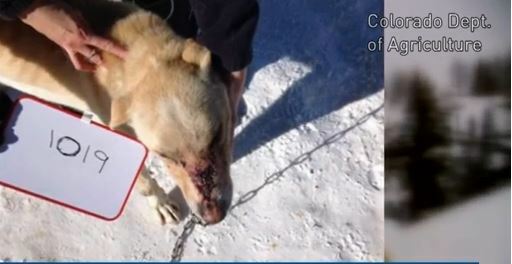 Sled Dog Action Coalition: Iditarod sled dog is scared to jump out of dog truck. Photo alone attributed to Brad Wilke on flickr. Krabloonik dog with open sores on his snout. 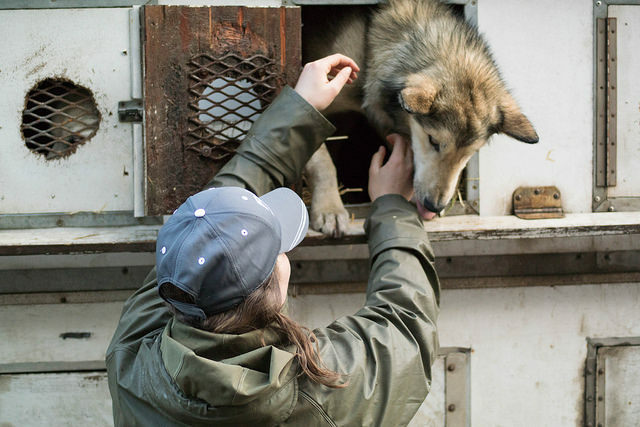 Krabloonik is owned by Iditarod musher Dan MacEachen. Photo attributed to the Colorado Department of Agriculture.